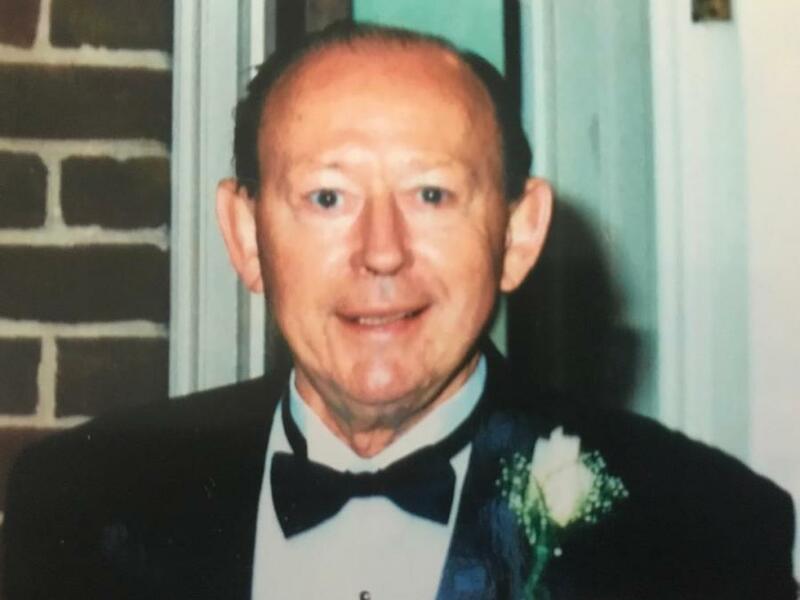 Robert (Bob) Lawrence Whitney, 90, passed away on Saturday, February 2, 2019 at Longwood at Oakmont, a retirement community where he resided. Bob was the beloved husband of Nancy Moore Whitney. Bob was born October 9, 1928 in Springfield, Vermont to Olive Ida Lawrence Whitney and Benjamin Rositer Whitney. He had two sisters, Hazel Whitney Plimpton and Charlotte Whitney Carlisle. In 1946, Bob graduated from Northfield Mount Hermon, a college prep school, where he was on the cross-country, skiing, and track teams. He attended Massachusetts Institute of Technology where he was on the track team for four years and the ski team for two years. Bob graduated from M.I.T. in 1950 with a B.S. in Mechanical Engineering. He began his engineering career at DuPont but then went off to serve in the U.S. Army as a 1st Lieutenant during the Korean War from 1951-1953. After military service, Bob returned to DuPont in Wilmington, Delaware. While living in Wilmington, he met his future wife, Nancy Ann Moore over a game of Monopoly. After a six-month courtship, they married on January 15, 1955. Soon after, they moved to Oakmont, Pennsylvania and purchased the home where Nancy grew up. There they raised five children. Bob worked at Westinghouse for 32 years as a Project Manager where he designed and supervised the construction of nuclear power plants; many of these reactors are still operational today. While working, he earned his M.S. in Mechanical Engineering from the University of Pittsburgh. He was a member of the American Society of Mechanical Engineers for 25 years. Even with his busy career at Westinghouse, Bob made family a priority and took time out to attend his children’s various sporting events and activities. He also served on the Riverview School Board for seven years. In addition, Bob was an active volunteer for Boy Scouts of America where he served as a Boy Scout Leader and District Committeeman. Bob was an avid runner and skier and enjoyed exercising throughout his life. He was known for his analytical mind and his strong work ethic and has been an inspiration to his children. In 1988, Bob suffered a stroke, due to a surgical mishap, which left him unable to speak and paralyzed on the right side of his body. After months of physical therapy at Harmarville Rehabilitation Center, he regained his speech and was able to walk again. After retirement, Bob and Nancy spent their winters living in Clearwater, Florida at the On Top of the World retirement community. There he played golf and participated in the Philosophy Club and was President of the New England Club. Also during retirement, Bob and Nancy travelled extensively to New England, Hawaii, Australia, China, Mexico, Colombia, and Canada as well as many visits to Ohio, Georgia, and Maryland to visit children and grandchildren. Since 2010, Bob and Nancy have lived at Longwood at Oakmont where they again became very involved in the many activities offered. Bob will live on through his large family including his deeply devoted and loving wife of 64 years, Nancy, and their five children and their families: Robert Lawrence Whitney Jr. (Larry) and his wife Mary; Jay Moore Whitney and his children Emily (Steven) Foltz and Patrick Whitney; Diane Whitney and her husband Kenneth Kaluzienski and their daughter Brooke Kaluzienski; Douglas Mercer Whitney and his wife Angela and his children Ben and Tom Whitney and her children Pollyanna and Angela Suarez; Barbara Whitney Erbe and her husband Michael and their children Austin, Nathan, Amanda and Brian Erbe. Bob’s sister Hazel Whitney Plimpton predeceased him, and his sister Charlotte Whitney Carlisle survives him.